Today I have some quick indie swatches to share. I applied both polishes completely on their own because I liked that look better than layering. I used three very thin coats of each and had no problems with application or drying time. They actually dried very fast! I love the look and formula of these polishes and will definitely be buying more in the future! If you haven't tried any of these yet, you're missing out! Love these! Jelly + glitter = win! These are really pretty! And the coverage is pretty good on its own. 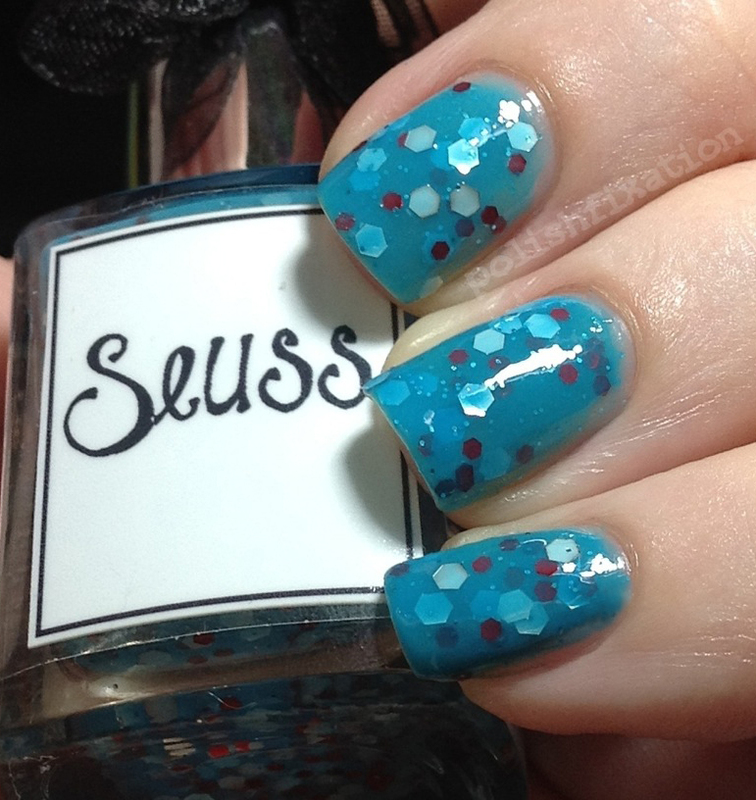 Love Suess - I just may need to try to get my hands on it!